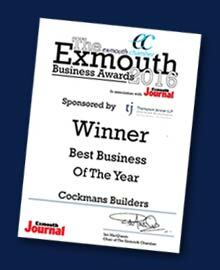 About Cockman Builders – Cockman Builders Ltd.
Cockman Builders was started by Dave Cockman over 30 years ago in the Pinhoe area of Exeter. Over the years we have carried out many extensions, full house builds, major refurbishments and all general building and roofing works. The business is run by Dave and his wife Nicky who have 3 sons who started working for the business after leaving school. All three took apprenticeships at Exeter College and now Mark is a Qualified Plumber whilst Chris and Jack are both Qualified Bricklayers. Most of our work comes from good recommendations and over the years we have worked for many large companies and associations (for example Exeter City Council, various Estate Agents and DAC Handling Solutions) and also hundreds of private individuals. 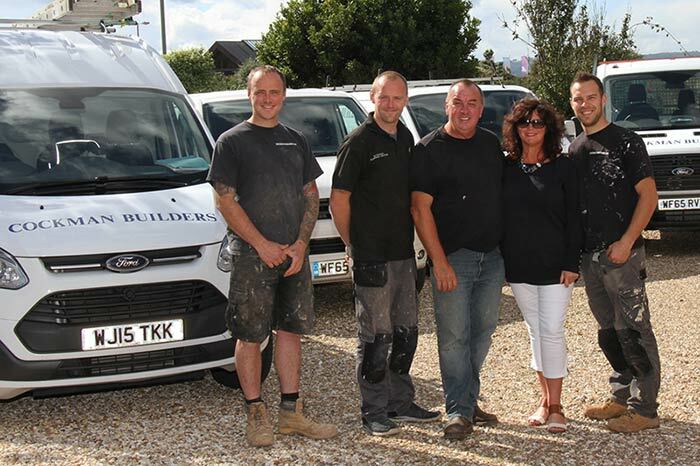 Cockman Builders Ltd have been a member of the Federation of Master Builders since we started trading.